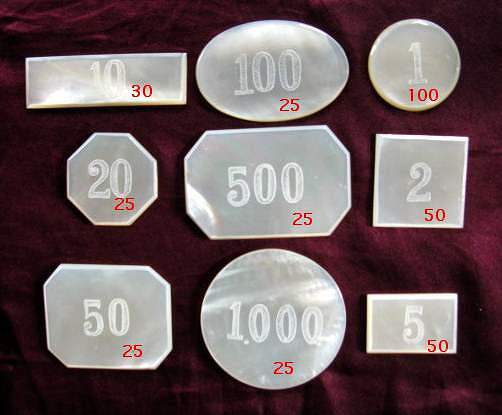 number of pieces is in red; total is 355.
the "50" is 2 inches across, and the "100" is 1.5 inches high. ¶ chips are in excellent condition -- no nicks, for example. 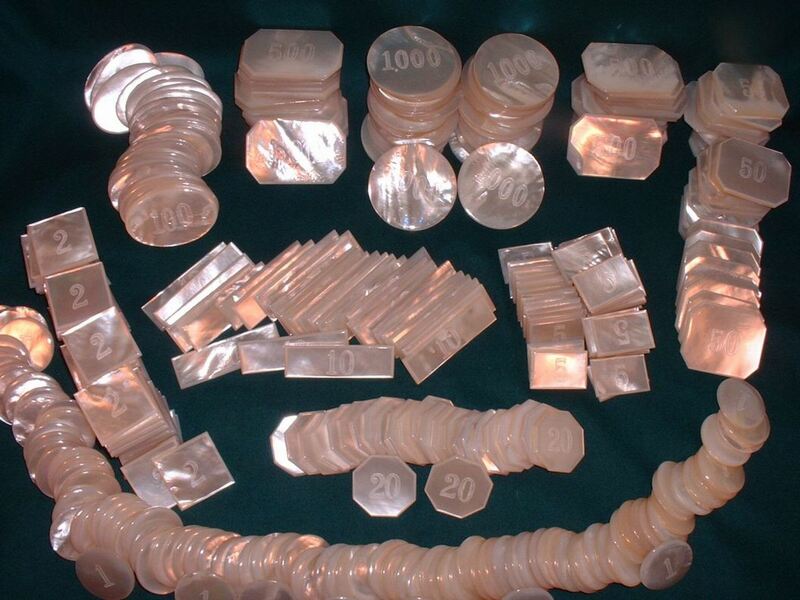 ... Beautiful, pure shimmering, glistening, unblemished pearl-white as shown above -- all 355 chips are that way. 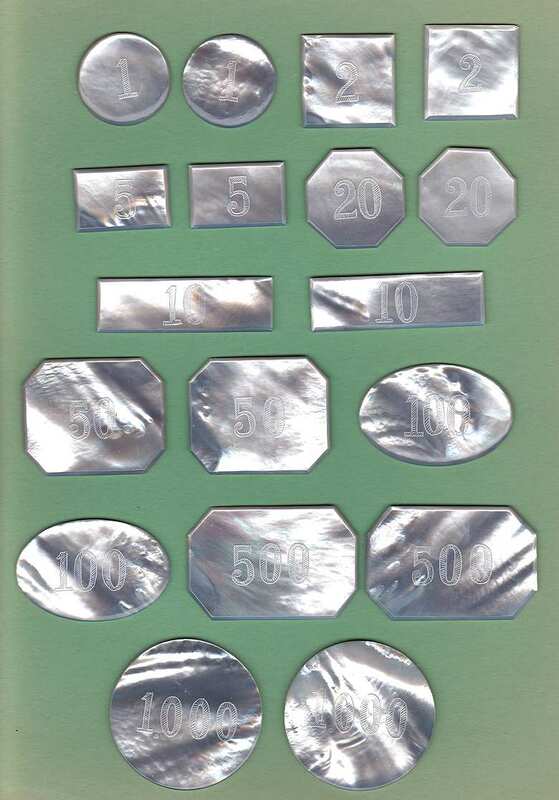 ¶ large-size chips -- of the nine denomination chips, five are 2 inches or more, and the other four are about 1-1/2 inches. All 355 chips weigh 8 pounds, not including container and packaging. ¶ chips are engraved on one side; other side is plain. ¶ provenance: I got this set from a person who says that his grandparents acqired the set while they were living in Paris, France, during the 1930s.